Talk about dedication! 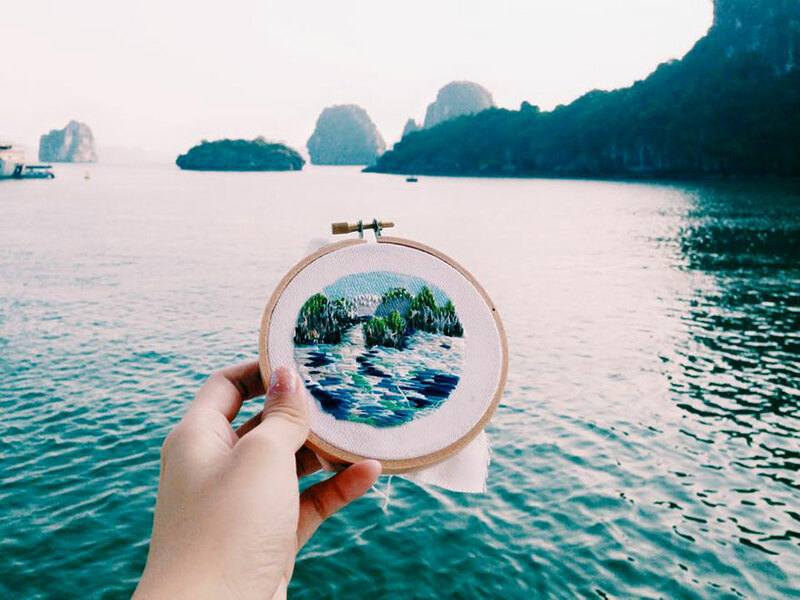 Designer Teresa Lim decided some time ago that she found taking snapshots too fleeting and superficial a way to experience the places she traveled to. 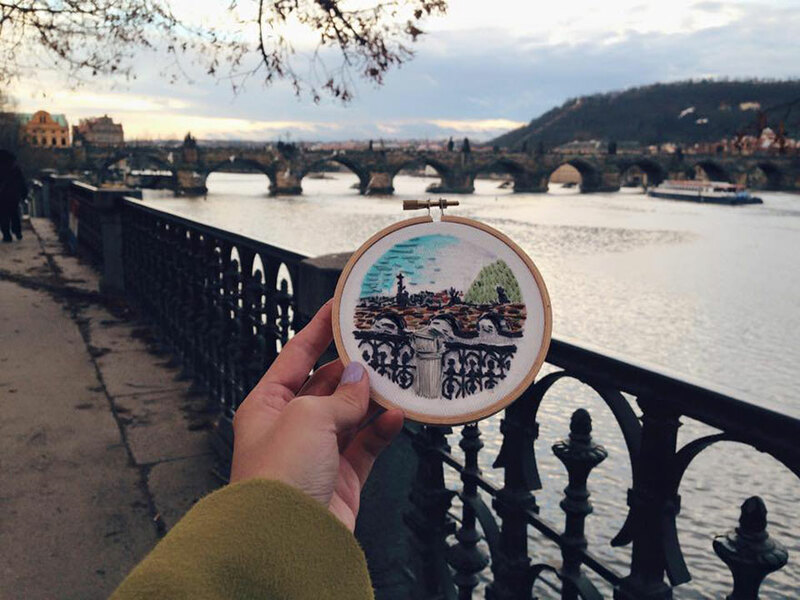 Instead she began embroidering her favorite settings in situ on her travels. 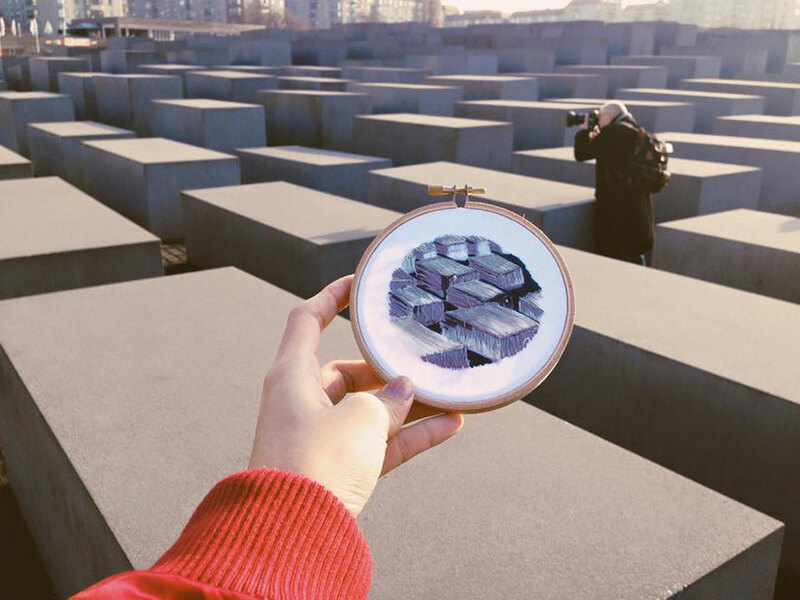 Lim says that by taking the time to make a small sewn piece in each place she goes she becomes endowed with an intimate knowledge of that place, and walks away with more than a facile photographic souvenir.I love the idea behind Lim's project, called Sew Wanderlust, so much! But am certain I wouldn't have the patience to do this any my own trips. Too many things to do, too many sweets to eat! 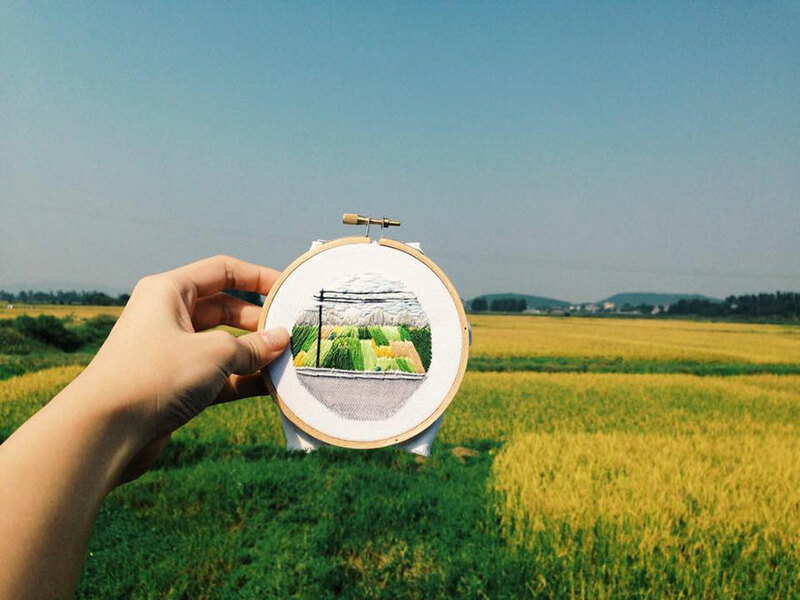 Still, we can all enjoy the fruits of her labor, right?See more of Lim's embroidered travel works here. Hi! 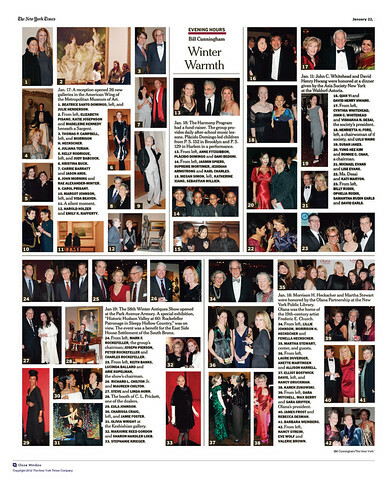 I found your blog through a CAA storify and have followed you in a few locations. What a beautiful blog: your obsession is tangible. 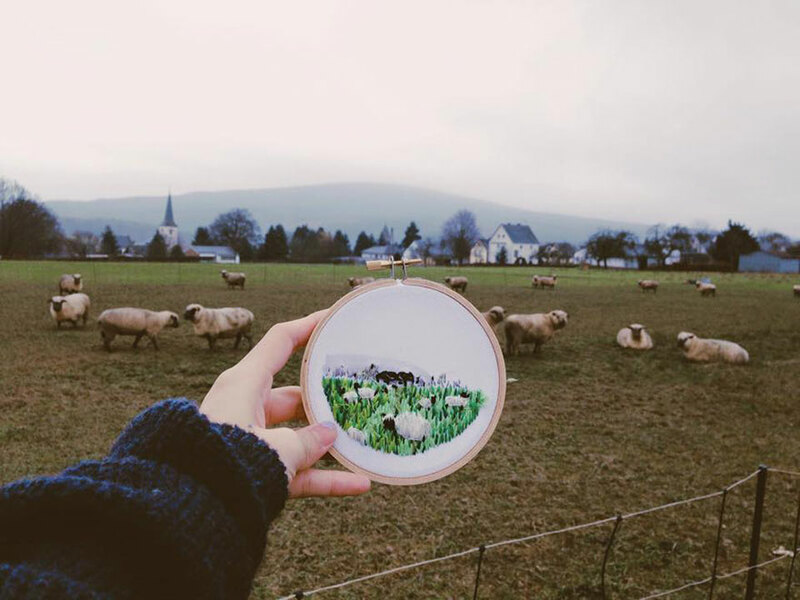 These embroideries are truly beautiful. Thanks, Alexandra! Glad you like the blog and pleased to e-meet you!